Color is crucial. “What is your color scheme” and “what color are your bridesmaid dresses” are some of the first questions a bride is asked when planning her wedding. If you haven’t already, now is the crunch time when deciding which color direction to head in for your fall or winter wedding. 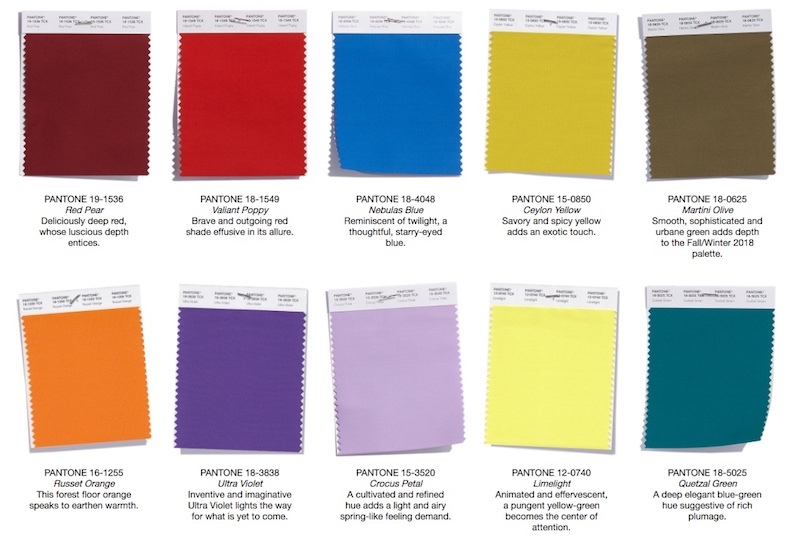 Each year, the Pantone Color Institute, international authority on all things color, puts together color trend reports that use Fashion Week and runway trends to craft together the top hues for the season. This year’s fall/winter 2018 report pulls together some expected hues with a few bright, unexpected colors. Stay tuned, as next week we will break down the colors, as well as highlight the hues you should be wearing this summer – perfect for wedding-related soirees and being the best-dressed wedding guest.